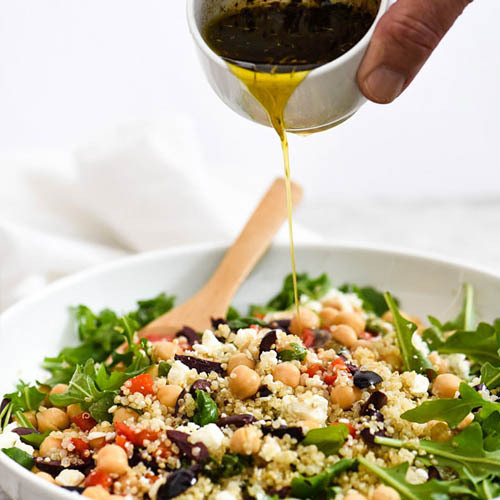 This healthy quinoa salad is one of the easiest you’ll make thanks to staples from your fridge and pantry. Cook the quinoa according to package directions with ½ teaspoon salt added to the water. Cool completely.